Language is one of humanity’s most efficient mediums for expressing thoughts, sharing knowledge, and connecting. At the same time, language is difficult to contain because it changes over time and can vary in use from one context to another. The very meaning of words depends, to a large extent, on historical usage, cultural connotations, and specific contexts. Language is public and conventional, on the one hand, and individual and personal, on the other. Thus, any examination of the way we use language in literature, everyday discourse, philosophical meditation, or ideological propaganda—to give but a few examples—can reveal much about how we see the world. Language has long been a subject of philosophy, but it can also be a subject in fiction writing. One way of explicitly drawing the reader’sattention to the language of a novel, and to just how much the power of linguistic definition influences our understanding of reality, is by writing that novel in the form of a dictionary. Ambrose Bierce knew this when, in 1881, he began writing the essays that later came to be known collectively as The Devil’s Dictionary, redefining chosen words to satirically comment on language and society. Perhaps the most comprehensive example of the use of the dictionary format is Milorad Pavić’s Dictionary of the Khazars, from 1988. The novel reads like a specialized encyclopedia on the Khazar polemic and invites the reader to jump between entries when new and unknown terms appear in the text. The theme is the linguistic representation of history, and the dictionary’s polyphonic structure reveals how narrative accounts of the same historical event can differ dramatically depending on the ideological and religious perspective of the narrator. David Grossman has also used the dictionary format to explore Jewish ethnic identity in his See under Love (1989), and Walter Abish pursues formal prose experiments in his Alphabetical Africa (1974). In the period around the turn of the last millennium, three China-born authors published literary works that adopted the dictionary format. In 1996, Han Shaogong wrote A Dictionary of Maqiao (Maqiao cidian), depicting the life, regional history, and local identity of a fictional village in southern China through its use of words. 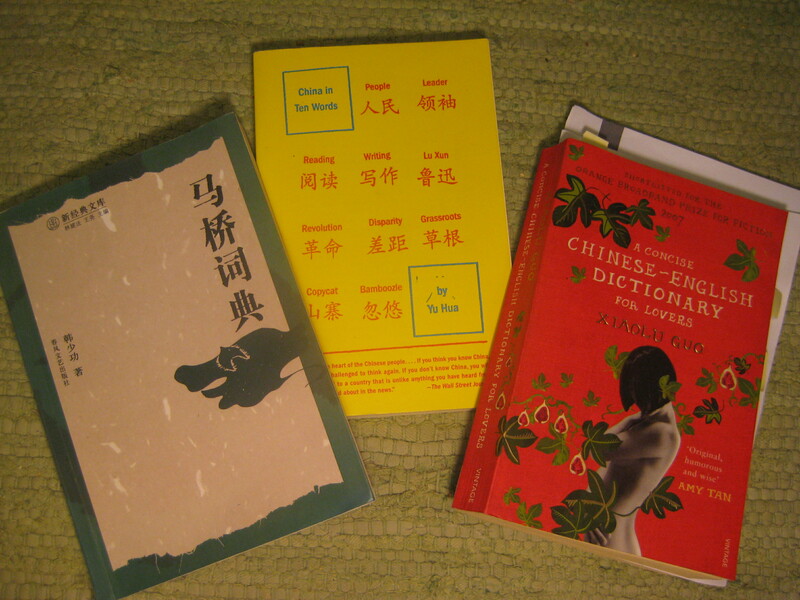 Xiaolu Guo used the dictionary format to point to intercultural relationships as a form of translation in A Concise Chinese-English Dictionary for Lovers from 2007. Finally, Yu Hua, in 2011, made use of the inherent connection between language and reality construction when he took it upon himself to rewrite recent Chinese history by redefining certain Chinese key terms in his China in Ten Words (Shige cihuili de Zhongguo). As I argue later, this last work, although published as nonfiction, incorporates many traits of fiction writing, thus justifying my labeling it a fictional dictionary. Inspired by the later work of Ludwig Wittgenstein and J. L. Austin’s lectures, both of which define the meaning of a word as its use in language, as well as by certain passages in Zhuangzi that are similarly preoccupied with language use, I investigate how the dictionary format affects the way language is used, presented,and understood in these three literary works. The essay is in three parts. In the first and longest part, the focus is on Han Shaogong’s novel; it includes analyses of speech acts and propaganda as a kind of linguistic magic, of how unstable words can create alternative historical narratives, and of the complex connection among language,fiction, and reality. 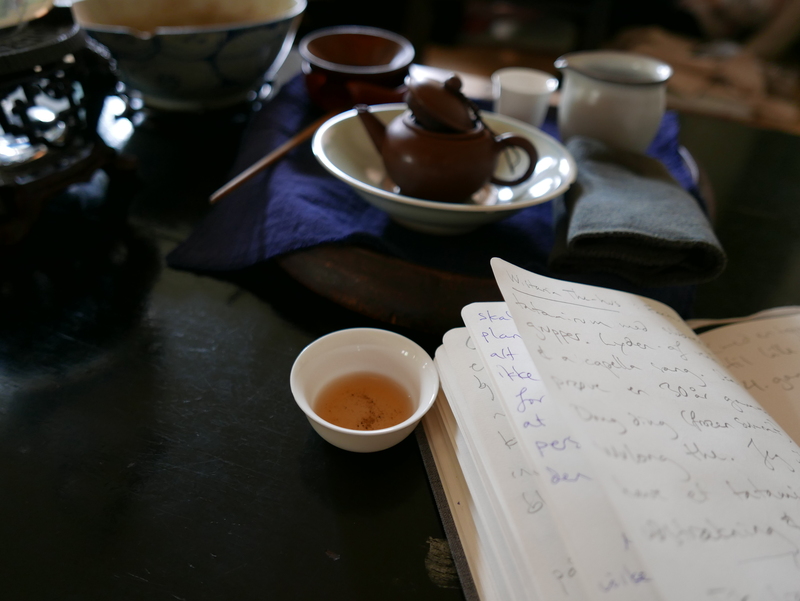 The second part looks at the power of canonized words and phrases, the importance of relexicalization, as well as the role and goal of fiction writing as discussed in Yu Hua’s work. The third part analyzes the role of translation and linguistic sedimentation in everyday life and love in Xiaolu Guo’s novel. The method is comparative, taking Han Shaogong’s novel as the point of departure and comparing it to the two other fictional dictionaries, with the aim of investigating how similar literary constraints—that is, the demands of the lexicographical format to select and give precedence to certain words—can produce very different narratives, each with their own representation of the role of language in our understanding of the world.